Joe Hi, Joe Sauve here. I'm from Washington State and I've been drawing and creating artwork as far back as I can remember. I'm a graduate from the Art Institute of Seattle and have worked as a graphic designer and illustrator for close to 20 years now. Joe I started on Zazzle in 2011. 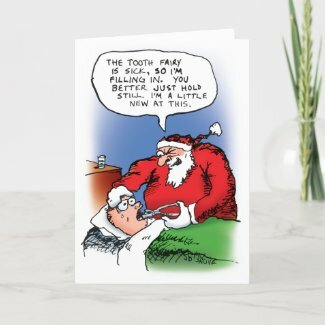 The road to Zazzle started actually about 20 years ago when I first started drawing and printing my own sick and twisted holiday cards to give out to friends and family. They were always a big hit and over the years I tapered off making them. People kept bugging me for them, so I decided to find a way to make them available to friends who wanted to use them as their own greeting cards for the holidays. I researched and compared different venues including different POD sites and Zazzle seemed the most promising. I created one card at first, bought a copy to see the results and was thrilled. I learned a few things from that first card about Zazzle's printing, which was helpful in future designs. After that first card I just went to work and started getting all my cartoons colored and making products, and soon I was branching off to all sorts of products and designs. I love that Zazzle allows me to share my warped sense of humor with the world. Joe Not yet, but I'm starting to create more content that doesn't really fit my store's theme, so I may branch out soon. However a couple of my PG and R rated cards have made many more individual sales. The difference is the naughty cards get lots of sales but people are buying one or two of them usually. I guess most people aren't going to send an Xmas card to Grandma that has the 'F' word on it. The Santas' Elephants card has had sales of 50-100 at a time, and I've sold some of the matching ornaments as well. What a fantastic email from Zazzle that is when you find out someone bought a whole stack of your cards! Joe My hobbies keep me quite busy so it can be difficult to work in time for making products and marketing them. I love whitewater kayaking and rafting and live in one of the best places on earth for that, western Washington. I also love going to concerts and often will travel to see my favorite band, Iron Maiden. Joe I try to do at least a little Zazzling each day. It can be hard, working a full time job and finding time for Zazzle. Luckily, I find it quite enjoyable. I try to work in an hour each day to either make artwork, post products or do some marketing. Of course I don't always do that. Its seasonal as well. I got lazy much of the middle of the year this year, but as my top sellers are holiday cards, I'm back in action now. These days I'm trying to get as much time as I can on making products and marketing before the holiday season really sets in. Joe It came after about 4 months, which I was really happy about. It came quicker than I had anticipated, but then again I started up 3 months before Christmas which is where at least 80% of my sales have come from so far. Joe Find your style. Figure out what makes you different and play on your creative strengths. There's a ton of great artists on Zazzle and you can easily get lost in the mix. 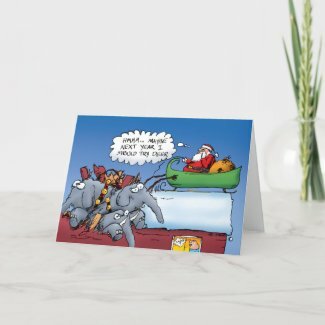 The Zazzle artists that really stand out to me, have a very recognizable style and apply their art to appropriate products in a way that makes sense. Think about who would like your art and what kind of products they buy. Also, don't give up! It can be frustrating not getting sales, but keep plugging and away and remember you can always look to the Zazzle forums for support from your peers. They've all been though the down times. Fantastic advice for anyone posting content on the interwebs - you totally illustrate you know your audience which will garner plenty of ROI! Thanks so much for posting my interview. You have a great blog. I've had a lot of fun reading the interviews and have learned a thing or two as well. Wow, your work is awesome! Perfect answer to the last question!